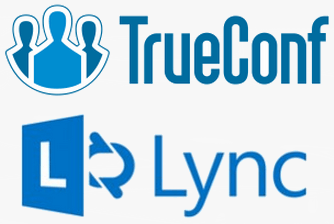 Upon numerous requests from our customers, we have compared TrueConf Server video conferencing server to Microsoft Lync Server 2013 (Skype for Business since 2015). Microsoft Lync Server 2013 is a UC product integrating A/V, instant messaging and collaboration tools. All Lync client applications and infrastructure have been rebranded to Skype for Business in 2015. Despite the fact that both Skype for Business and Skype are Microsoft’s products, they are positioned differently. Skype is a free cloud solution most often used for personal communions. Skype for Business is an enterprise on-premises paid communication solution and is subject to specific license agreements. 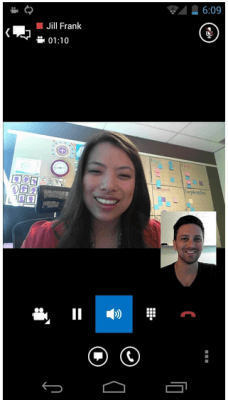 In 2013, Microsoft announced the Skype for Business-Skype integration, thus allowing users to seamlessly hold video meetings and exchange messages between Skype and Skype for Business. This was a real breakthrough, since Skype had a history of not being integrated with any major video conferencing solution on purpose. The ability to integrate third-party VoIP services or a PBX through SIP with Skype was removed by Microsoft after acquiring Skype. Both solutions are unified communications enterprise platforms with enhanced collaboration capabilities. However, Skype for Business is primarily a corporate chat and an audio conferencing tool while TrueConf Server is designed for multipoint video conferencing. It explains why TrueConf Server provides much better video quality than Skype for Business. Let’s elaborate on these issues. It may seem at the first sight that we are equal in these terms, but in fact the number of enterprise Linux users is much larger than the number of personal devices running Windows Phone. All client applications are paid and require licensing that does not extend to capabilities activated by separate CAL (Client Access License) server licensing. There three types of CAL licenses ranging from $31 to $123. Each license provides certain capabilities while video communications require purchasing two of these and the integration with corporate telephony requires purchasing all three licenses. Yes, you heard it right, you cannot purchase separately the necessary CAL license, you must buy all intermediate licenses at once. Therefore, you will need 2 to 4 licenses for each PC user, with one license for the software itself and more 1 to 3 licenses for the capabilities provided by the client application for Skype for Business Server. Note that Skype for Business mobile applications are free, but still require CAL licensing. Even if you purchase all required licenses, there still remains one significant limitation on using the license – it is either intended for a particular device or for a particular user. This implies that you either pay for PCs and mobile devices that are unused and not connected to Skype for Business Server at the moment or you pay for offline users. You cannot enjoy the flexibility video conferencing specialists are used to when counting available ports on the MCU. A fully functional trial version of the software is available for users for 180 days, which is pretty good. An archive with server contains free client applications that do not require licensing. They are available on the server’s Guest page. The guest page is convenient as a user can select the application for his OS. The downloaded and installed client application connects automatically to the local TrueConf Server. For those who would like to test client applications and the capabilities of TrueConf Server, a full-featured free version TrueConf Server Free is available, with unlimited terms. It will only take you 15 minutes to deploy it on your corporate network, which is quite impressive. The capabilities of Skype for Business multipoint conferencing are limited. You must purchase two types of licenses at once to activate the video conferencing feature – Skype for Business Standard CAL and Skype for Business Enterprise CAL. If purchasing only one of these, you won’t get all capabilities you require for fully functional video conferences. The maximum number of users simultaneously displayed on the screen is 5. The layout is fixed: the video windows are arranged in one row. Switching to full screen won’t change anything, so Skype for Business video conferences are not suitable for use in meeting rooms and on large displays. 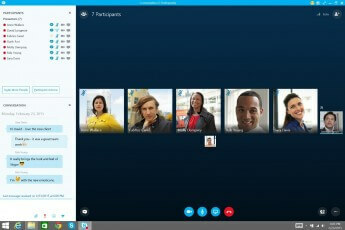 Therefore, to hold full-featured conferences, you need to buy an MCU compatible with Skype for Business or integrate your Skype for Business with a cloud video conferencing service that will mix video for Skype for Business multipoint conferences, resulting in the increased cost of the implementation of such a project. Group video conference enables all 25 participants to simultaneously see and hear each other. Virtual meeting for up to 250 participants, with 6 of them acting as speakers and others being observers. Virtual lecture for 25 participants. The lecturer can see and hear all learners while they can only see and hear the lecturer. During a group conference with 5 participants, the total video resolution can reach UltraHD 4K quality, if the appropriate display is available. Skype for Business Server supports third-party endpoints through RDP (content) but it does not provide support for SIP, H.323, H.239, RTSP and BFCP that are widely used in hardware video conferencing systems. You must buy a stand-alone Skype for Business-compatible gateway from a third-party vendor. It provides support for Skype. TrueConf Server supports video conferencing endpoints and MCU from third-party vendors, various PBXs, VoIP devices, telephony and even surveillance systems. The embedded scalable multi-protocol gateway with support for SIP, H.323 and RTSP enables TrueConf Server customers to hold up to any video sessions simultaneously using any combination of these protocols in a single video conference. Skype for Business supports integration with Active Directory. TrueConf Server supports a more widespread LDAP protocol which allows integrating Active Directory as well as third-party directory services. LDAP allows to easily manage the lists of server users since all user details on the server are updated automatically. User don’t have to sign in into the client application after signing in in the workplace within the corporate domain. Users cannot join Skype for Business conferences through a WebRTC-powered browser. 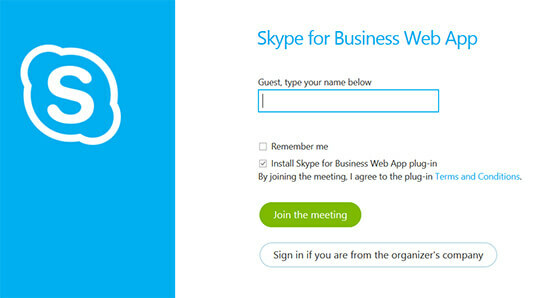 Skype for Business web conferencing requires installation of the additional Skype for Business Web App application or a plugin is required if you are using Skype for Business Online (available for customers of the cloud Skype for Business service). You don’t have to install additional software and client applications to participate in a conference. You only need to enter your name on the event login page (non-TrueConf Server users can join the conference as guests) and allow broadcasting the signal from you camera and mic. When joining the conference through a browser, you get complete feedback from all conference participants: communication through one-on-one and group chats along with audio and visual contact. You can also view slide shows broadcasted from TrueConf client applications. TrueConf Server is the first Russian solution that enables external users to join the video conference through a WebRTC-powered browser. We have provided a detailed description of the WebRTC technology in the entry in our blog. Nearly all modern browsers including their mobile versions provide support for WebRTC. Skype for Business is offering several licensing types: for server (for each server product operating as a server) and for client applications (CAL). Skype for Business Plus CAL (voice communication for corporate clients). All CAL licenses are compatible and offered in two versions: “per user” (1-user license for various devices) and “per device” (1-device license for different users). Some client applications for PCs require purchasing an additional license. up to six online users. all video conferencing modes (video call, group conference, video lecture, role-based conference). collaboration tools (text chat, the presence status, screen capture). video conference recording, creation and management of user groups, conference scheduling). on-premises solution operating in corporate network. client applications for all major platforms: Windows, OS X, Linux, iOS, Android and WebRTC. However, if you are not satisfied with the features and tools of the free version, we can offer you an alternative solution. Extended multigateway (up to any connections through RTSP, SIP or H.323). The software SVC-based (scalable video coding) architecture without transcoding allows customers to easily deploy the server on a regular PC or server as well as to scale the server’s capacity. TrueConf Server works on practically any PC running Windows. Skype for Business requires the latest version of Windows Server or MS SQL Server which increases the cost of the Skype for Business system deployment. Both TrueConf and Skype for Business use the modern SVC technology: Skype for Business solutions are based on the H.264 SVC while TrueConf uses VP8 SVC. Due to the use of VP8 SVC, TrueConf solutions ensure high-quality multipoint video conferences on various devices (PCs, tablets, smartphones, hardware video conferencing systems) acting as endpoints. The server sends a set of media streams to each terminal to adapted to the configuration of the endpoint, its communication channel, the selected video layout, CPU and graphics card. Web Manager is a web interface which allows the administrator to manage the TrueConf server. The administrator can control the video conferencing system from any device that is the corporate network as well as outside of it. The media exchange between the client applications and the server occurs through the proprietary TCP-based protocol. Skype for Business architecture is based on H.264 SVC. The implementation is largely the same as that in TrueConf — each endpoint participating in the group conference receives a set of media streams that correspond to its capabilities: the basic low-resolution stream is sufficient for mobile devices, while PCs demand all layers with the highest available video resolution. However, H.264 SVC-based solutions have some disadvantages: incompatibility with rather common H.264 AVC/H.264 SVC solutions and lack of interoperability since each vendor applies his proprietary H.264 SVC specification. Thus, Skype for Business H.264 SVC is not compatible with Polycom or Vidyo H.264 SVC. Microsoft Skype for Business Server demands a gateway to establish connection with other video conferencing systems. By the way, TrueConf uses the open-source VP8 SVC codec which is fully compatible with VP8 video codec used in WebRTC. Skype for Business Server is administered through the web interface. 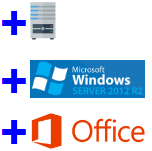 How TrueConf Server substitutes four Skype for Business servers? 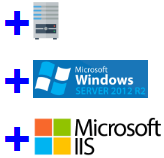 Comparison of Skype for Business server roles functionality and related Microsoft infrastructure elements with just one TrueConf Server instance. 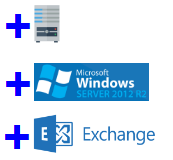 Exchange and Active Directory, file server or can be installed on any PC with Windows 7 or higher. * it is necessary to have a dedicated server with up-to-date version of server operating system from Microsoft or existing domain service from Microsoft. Included into the product. * it is necessary to have a dedicated server with up-to-date version of server operating system and software or existing server Exchange 2013. Included into the product. Multipoint video conferences with more than 5 visible participants. Support of more than 12000 subscribers. It is necessary to switch to Enterprise version of SfB and to deploy the pool of Skype for Business Front End servers. * SfB Standard Edition Server obtains a new role of Front-End server and also one more Front End Server should be deployed at distinct server with its own operating system. 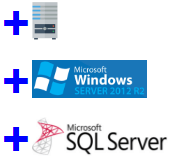 Moreover, it is required to have the Back End server with SQL Server 2014. * A distinct SQL Server 2014 at dedicated server will be needed for Front End servers operation. Included into the product. * it is necessary to have a dedicated server with up-to-date version of server operating system and software. Included into the product. Connection via web client for browsers and calls using URL links Installation of Reverse Proxy is required. * it is recommended to use the Microsoft Internet Information Server at dedicated server with up-to-date version of server operating system. Included into the product. Moreover, there is no need to install any plugins for browsers because of native support of WebRTC standard. In this article, we have compared the main features you should pay attention to when choosing a unified communications system. Should you have questions, you are always invited to contact us on 1-347-878-3263 or to leave a comment on the blog here.